"Our purpose is to provide the highest standard of care whilst maintaining a homely environment." A Home from Home in the middle of the bustling sea side town of Felixstowe, stands this grand Edwardian home, ‘Merryfields’, which has been lovingly refurbished to a very high standard, with specific mind to the needs of the elderly. Merryfields is set in secure, well maintained gardens and patio areas which are stocked abundantly with all year round flowers and plants. It is only minutes away from the town centre, library, promenade, sea front and beach. Our purpose is to provide the highest standard of care whilst maintaining a homely environment. Our staff have been specially chosen for their dedication and friendly attitude towards the elderly; everyone is well trained in their field and united in encouraging a full and active life style tailored to individual needs. 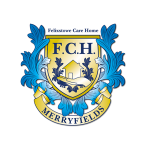 Merryfields aims are to provide a loving, caring compassionate home for our residents to live a rich and fulfilled life. No effort has been spared to make ‘Merryfields’ a real home from home. Book an appointment for a tour around the care home! It would be our pleasure to give your family a tour of the care home and our facilities.